As I shared in my last post, my ZOOMA Florida race weekend got off to a rough start. To recap: I got lost and confused at the Ritz Carlton while trying to find the Fitness Expo. I missed the Feetures! champagne reception. And I discovered that I was the only ambassador who’d traveled alone and was staying somewhere besides the Ritz. But despite my less-than-fabulous evening, I woke up excited for race day. I know I said that I wasn’t going to make myself crazy about getting a PR, but I was still feeling optimistic about beating my PR of 2:27:42. I’d decided to run the race alone – partly because I didn’t really have anyone to run with, but also partly because I really wanted to focus on my pace. I hadn’t slept well the night before – I never do before races or long runs. But I got up, got ready, and even managed to get out the door (almost) on time. 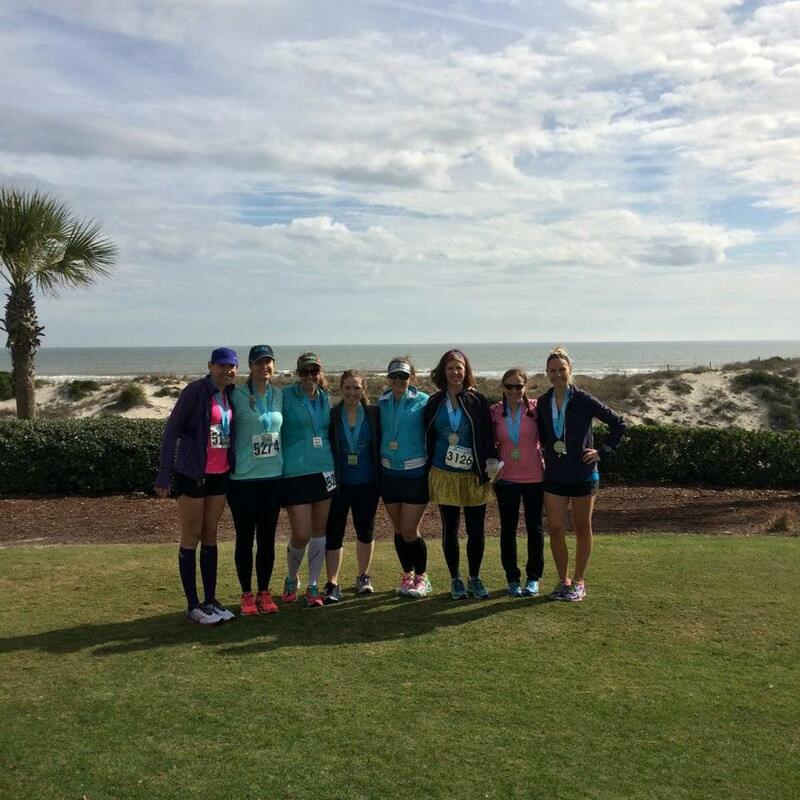 The half marathon and 12K race were point-to-point, starting in downtown Fernandina Beach and finishing on the beach in front of The Ritz Carlton. As I mentioned in my previous post, the Ritz provided its guests with shuttle transportation right to the starting line. Those of us who stayed off property had to park at the Nassau County School Board and walk to the starting line on Centre Street. The School Board parking lot was easy to find and had plenty of spaces, but the walk from the parking lot to the starting line was about 11 or 12 blocks. According to Google Maps, it was a .8 mile walk. Personally, I think that’s a bit too far to expect race participants to walk. My husband didn’t understand why this bothered me. He said, “But you were about to run 13 miles anyway,” to which I replied, “Exactly.” I don’t know – maybe I was just grouchy because it was early and I was cold. Oh, and speaking of the weather, it was about 50 degrees with a wind chill that made it feel a few degrees colder. I think it was close to 7:40 when I arrived at the starting line. I found some safety pins and got in line for the Port-a-Potties. There were a good number of them (especially considering that this race was on the smaller side), and the line moved quickly. While I was in line, there was some group stretching and warm-up, but I was already warmed up from my .8 mile walk (that was the one good thing about it! ), and I did my best to stay warm by bouncing up and down in the bathroom line (i.e., I did the “potty dance” like a 3 year old). I found the other ambassadors, and we chatted for a bit before going our separate ways at the starting line. I found a spot toward the back of the crowd, and I double checked my GPS and interval settings on my Garmin. I know you’re not supposed to do anything new on race day, but after reading Sean Astin’s Facebook post about Galloway running at the WDW Marathon, I’d decided to experiment with shorter walk intervals. 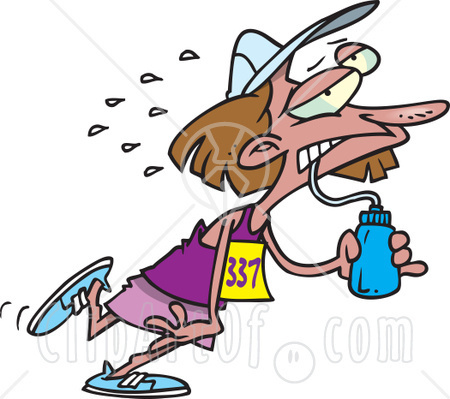 I’ve also heard numerous times that Jeff Galloway himself is a proponent of shorter walk breaks – in fact, in 2013 he qualified for the Boston marathon using a strategy of run 30 seconds/walk 15 seconds. I decided to start out with 2:30 run/:30 walk intervals. 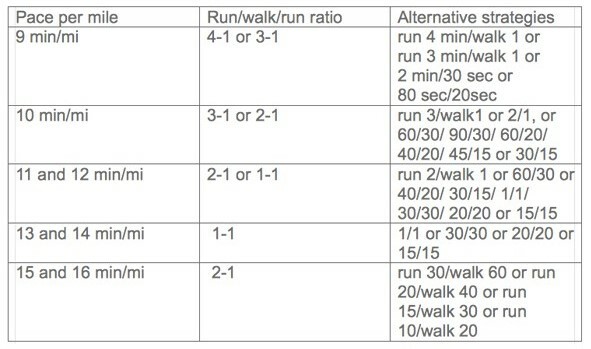 The chart below is really helpful – unfortunately, I didn’t discover it until after ZOOMA, so I didn’t get my intervals quite right. But I will definitely refer to this for future races. The first 2.5 miles or so of the course took us through downtown Fernandina Beach. Even though it was still only in the low 50’s, the sun was out and I warmed up very quickly. I tend to overdress during cold runs (#FloridaGirlProblems?) but I so strongly dislike being cold that I keep my excess clothes on for as long as possible, rather than risk being slightly chilly for 3 seconds when I run through a shady spot. I was glad I kept my hoodie on though, because at around 2.5 miles the course took us into Fort Clinch State Park, which is lined with trees and very shady. It’s such a pretty spot – very quiet and serene. This leg of the race lasted for about 4 miles. The remainder of the half marathon course was along A1A, except for the last .2 mile (or so), which was on the beach leading to the Ritz Carlton. I felt pretty strong during the Fort Clinch leg. The water stops were plentiful (about every mile). They all had water and Gatorade, and they were staffed with loads of cheerful and supportive volunteers. I ate my GU at around mile 5. I felt a slight twinge in my right knee, but my body held up really well – and other than a couple of prophylactic pre-race puffs on my inhaler, I didn’t have any issues with my asthma during the race either. By the time I got to A1A (around mile 7), I was starting to get pretty warm, but I still didn’t want to take off my hoodie. I knew I was cutting it close with my time and didn’t want to “waste” any precious seconds. Also, my race bib was pinned to my hoodie, and (as a not very experienced racer) I didn’t know if that would impact my timing chip. I ate my Honey Stinger Chews around mile 8, and I was also grabbing a few sips of Gatorade at every water station. I was still feeling strong. But I started to fall apart a bit around mile 10. Two things happened. First, I finally got hot enough to take off my hoodie. It had warmed up to about 60 degrees by then, and there was no shade. Unfortunately, when I went to pull it over my head, I realized that I’d pinned 2 of the 4 safety pins for my bib all the way through to my shirt. (Like I said, not a very experienced racer, and also kind of a klutz.) So during my walk breaks, I worked on unpinning myself. Keep in mind that my walk intervals were only 30 seconds long so it took me a few rounds to accomplish this – plus, since I had a handheld water bottle, I had to kind of shift things around to use both hands. And I also had to deal with my iPod (clipped to my jacket) and headphones (under my jacket with one earbud tucked into my bra). In the meantime, I was running with my hoodie sort of half on, half off, flopping around all graceful-like. Shalane Flanagan I am not. The second thing that happened is that my legs started to get tired. I probably could have continued with my 2:30/:30 intervals for the last 3 miles, but I made a judgement call and decided to switch to 1:00/:30 intervals. This meant that I had to stop my Garmin, change the interval timer, and restart my watch. This is not as easy as it sounds, especially while running, and I know it slowed me down for another couple of minutes. Doing 1:00/:30 intervals was easier on my tired legs, but as you can see from my splits, it slowed my pace down a good bit. This, plus my wonky watch, headphones trailing on the ground, and jacket flapping in the breeze, dashed my hopes of a PR. I don’t know my exact pace for mile 10, since that’s when I stopped and restarted my Garmin. But if I’m doing the math correctly, that mile took me at least 12-13 minutes. My official finish time was 2:31:35. My ideal pace (i.e., the pace that would’ve gotten me that PR) was between 11:15 – 11:20 minutes/mile, and I only hit that pace on 5 out of 13 miles. But according to the official race timer, my average pace for the first 6 miles was 11:11. So if I’d run the second half of the race the way I ran the first, I would’ve hit my time goal. Oh well. Live and learn. The final .2 mile of the race is on the beach, and I’d been warned that this particular section of the beach wasn’t an ideal running spot. And true enough, the sand was soft – the kind of sand that you have to kind of high-knee march to get through. By the time I made it to the beach, a couple of hundred other runners had already run the path before me, so that helped a bit (one benefit of being in the back of the pack). Thankfully, this portion of the race was very small, and I could see the finish line. Yes!!! But there was no time to wallow, since it was time for the after party. And let me tell you – the ZOOMA folks know how to throw a party! It really was a fabulous and well-planned celebration. Each participant got a boxed lunch, which included a veggie sub, an apple, a cookie, and some chips. And since Barefoot Wine & Bubbly was one of the race sponsors, the wine was plentiful. There was live music and dancing and groups of friends sitting in the grass and enjoying the weather, which was absolutely perfect by that time. I hung out with the other ambassadors, took some pictures, and just enjoyed being on the beach, in the sunshine, on a beautiful Florida day. ZOOMA provided shuttles for those of us who’d parked at the school board, so when it was time to leave, I made it to my car without any trouble. My ZOOMA weekend had come to an end. 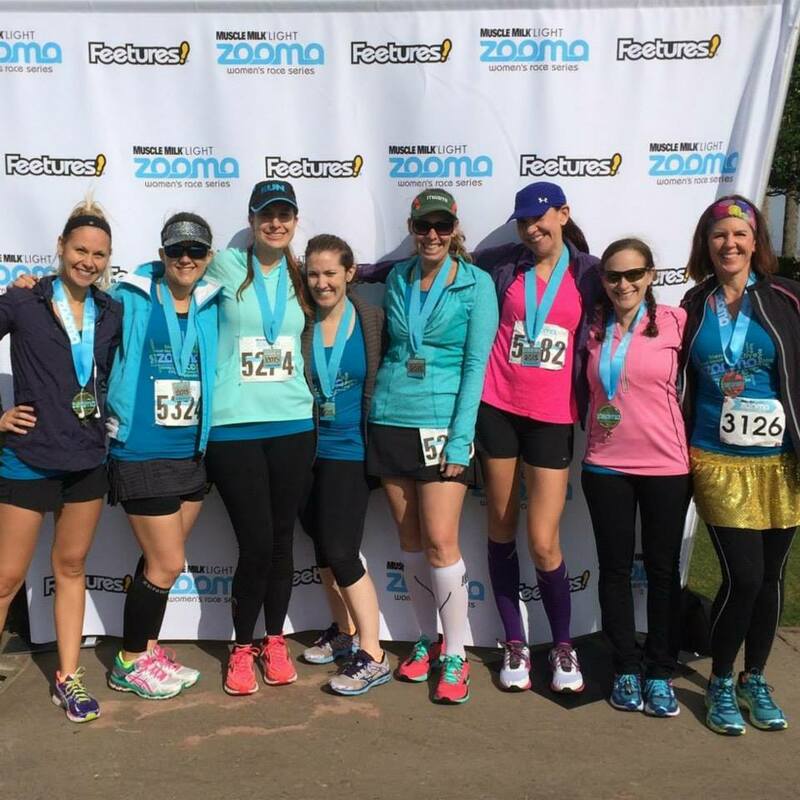 I was so honored and excited to be selected as a ZOOMA Ambassador. I loved representing such an awesome race series, and I especially loved getting to know the other ambassadors – such a great group of girls. And even though my ZOOMA race weekend wasn’t 100% puppies and rainbows, I still had a good time. The course! Amelia Island is simply gorgeous. If you’ve never been there, you’re missing out. The post-race hospitality. There was plenty of food and wine for everyone, even us back-of-the-packers – plus, there were still lots of volunteers and spectators cheering us on at the end. I especially loved hearing my name called as I crossed the finish line. The party. Music, dancing, and wine on the beach. Need I say more? The free race photos. Can’t beat that. This was a first for me. The bling. Check out this baby! If you plan to run ZOOMA Florida in 2016, here’s what I would suggest to make the most out of your experience. If at all possible, stay at the Ritz Carlton. Obviously it’s pricey, but the added convenience might make it worth the extra money. Pretty much everything race-related happens at the Ritz – the expo, the “mocktail” reception, transportation to the starting line, the finish line, and the after party. The weekend is designed to be kind of “all-inclusive,” so staying off property takes away from the whole experience. Don’t go alone. Bring your girlfriends or significant other, and turn it into a mini vacation. I think that’s the spirit behind ZOOMA events. I mean, it’s right there on their website: “Boutique events in awe-inspiring destinations with a “fit girls weekend” schedule of activities.” There was even one group of girls that turned the race weekend into a bachelorette party! I guess if you are super outgoing (which I’m not), you might go alone and make friends there. But personally, I would’ve had a much better time if I hadn’t been on my own. 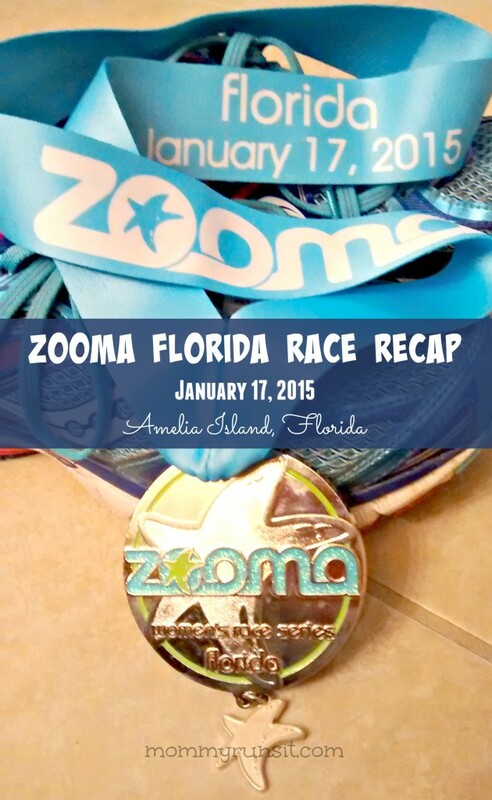 So there you have it – my ZOOMA Florida race weekend from start to finish. 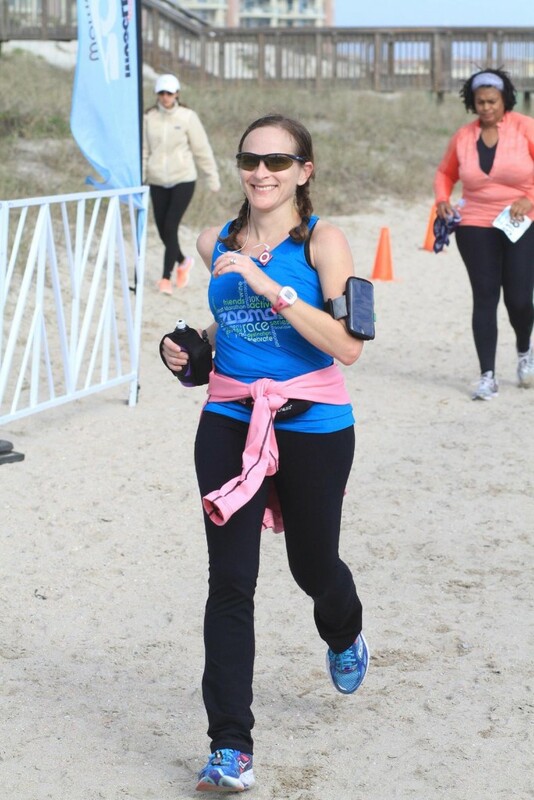 I want to give a big thank you to ZOOMA Florida and to all the awesome race sponsors, including 1st Place Sports and First Coast YMCA (two of my local favorites). Next up for me? 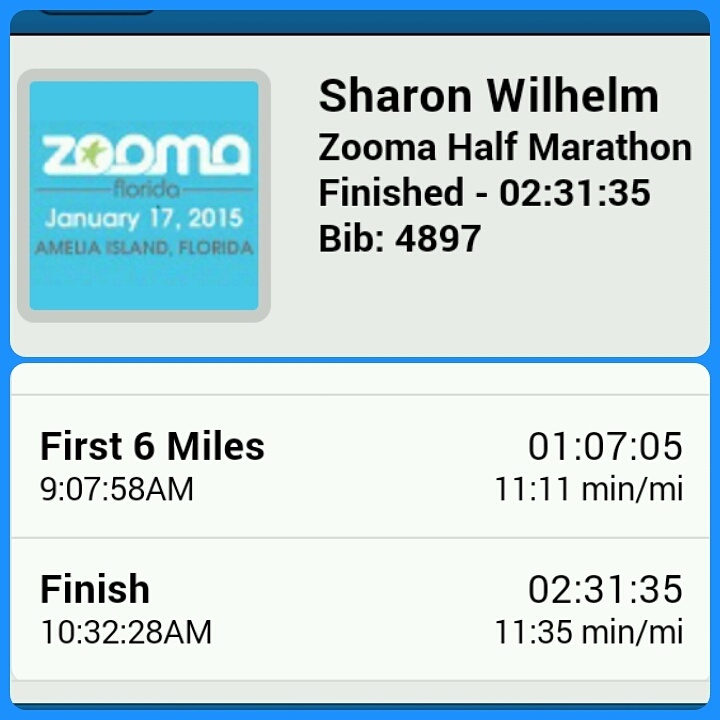 The 26.2 with Donna (half or full, still not 100% sure) on 2/15/15! great review Sharon- I am SO glad we all got to meet up! I am with you on the hotel- I know the Ritz is a little pricey but we got the discount and it does make life so much easier 🙂 I had to giggle a little over the struggle with your hoodie, that is why I didn’t wear one. I can’t run and chew gum at the same time so I knew I wasn’t messing with a hoodie, I just wore the tank and hoped I would start moving fast enough that I would warm up and I did! I hope we get to meet up for another race soon. I have just 2 weeks of recovery left and then I can get back out there! Have a great weekend and thanks for including my link in your post! Amelia Island is gorgeous! I haven’t been there in years but running in 60 degree weather sounds mighty nice right about now. .8 miles is a LONG way to have to walk to get to the start line. Ugh. We saw people scampering to get to the start line who must have been coming from the parking lot, and I felt so badly for them. I had been considering staying at the Hampton Inn which is right at the start line, but what a hassle to get back there after the race. I guess it would have to be a cab? How did you get back to the car? 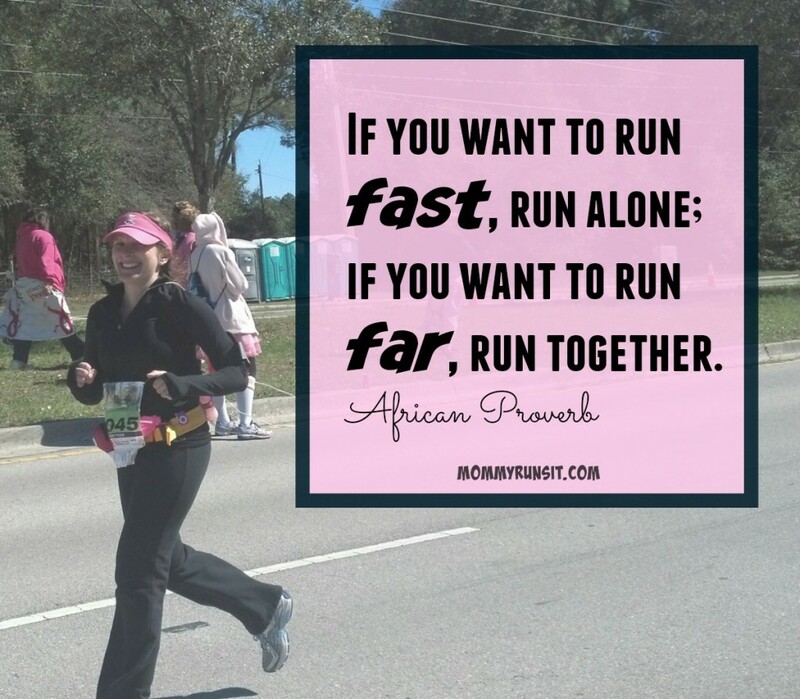 It was so great to see you and once your half or your full is finished, I want to get together to run! Actually, getting back to my car post-race was really easy. ZOOMA had shuttles running between the Ritz and the parking lot all afternoon. Thank goodness! You know, I didn’t really even think about the “staying alone” aspect of it until I got there, and then I was like…uh-oh. This stinks. We should go together next year! 🙂 Love ya, girl. And yes, let’s run together SOON!! !